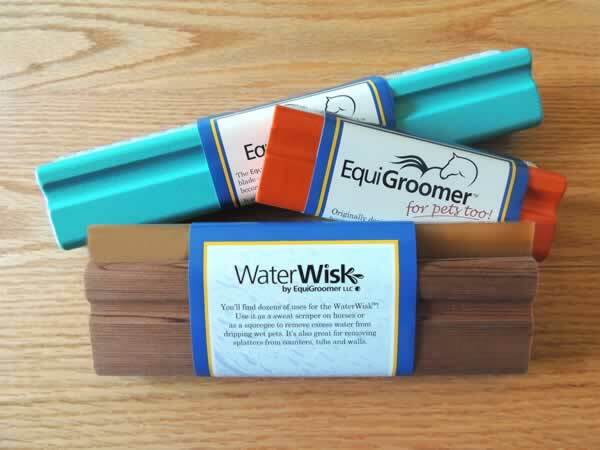 The 3-piece set includes one 5-inch EquiGroomer, one 9-inch EquiGroomer, and one 7″ WaterWisk. 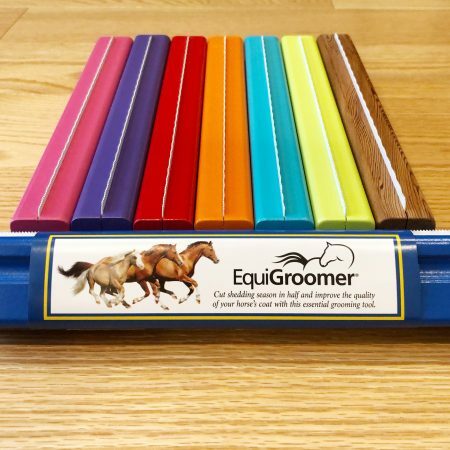 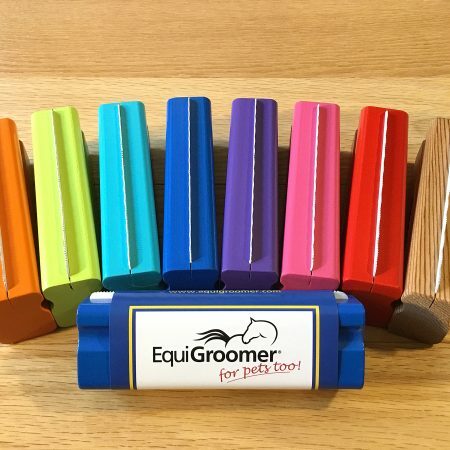 Choose separate colors for each EquiGroomer. 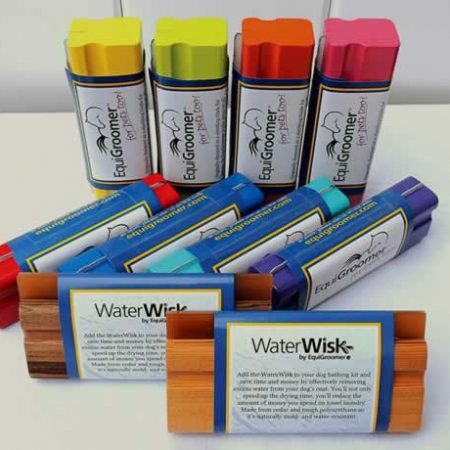 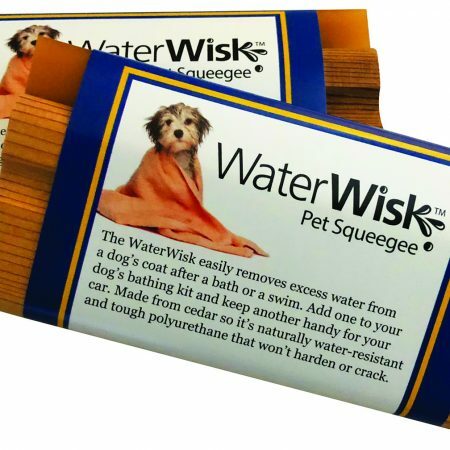 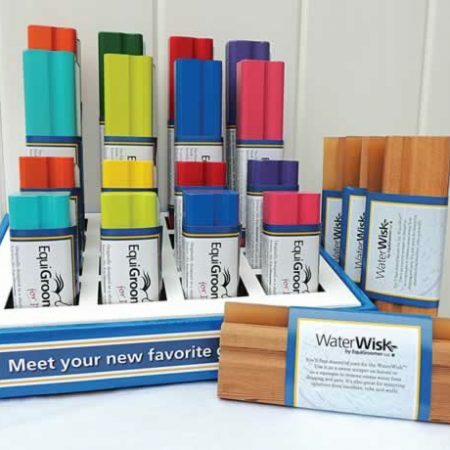 WaterWisk is natural Red Cedar.